Sixteen years ago, around this time of the year, I was one semester away from finishing up my Master’s Degree in Systems Engineering at the University of Pennsylvania. As with most students getting ready to finish school, it was job hunting season. Perfecting resumes, writing customized cover letters, researching potential employers, attending information sessions and all other job hunt related tasks added up to an almost full time job by themselves. Part of that job was getting ready for interviews. My friends and I spent many hours conducting mock interviews with each other, preparing ourselves for those stressful meetings with recruiters. Each type of job had its own interview format, and as a candidate for management consulting positions, I spent a lot of time practicing for Fermi Problems. In a consulting interview setting, the interviewers are less interested in the actual number answer to the question than the methodology used by the candidate to get to the answer. In the absence of relevant data, the candidate is expected to make use of commonly available knowledge, break the problem into smaller problems while making assumptions and approximate calculations. 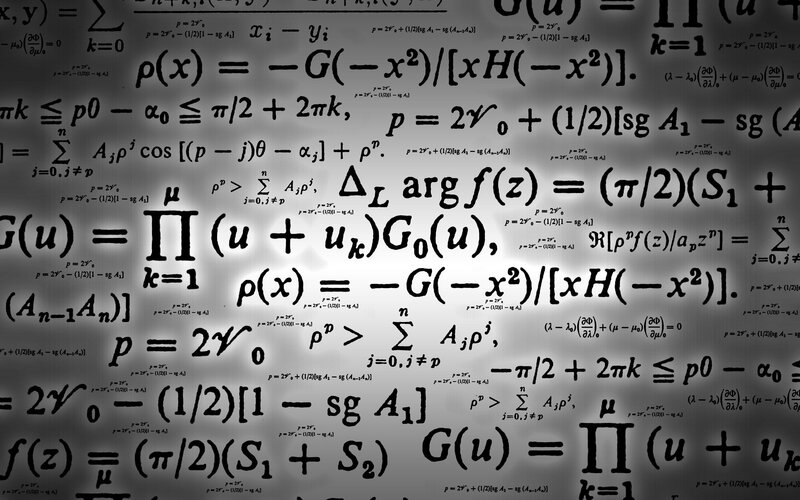 Fermi problems help interviewers evaluate the candidate for reasoning, structured thinking, practical knowledge, mathematical skills, ability to deal with uncertainty and making estimations – all very useful skills in management consulting. While practicing for Fermi type consulting interview questions, I sometimes fantasized about the following scenario: A candidate walks into a consulting interview. The interviewers ask the candidate to estimate something like how many personal computers there are in Mexico. The candidate asks them to wait a moment, makes a call on his cell phone, and repeats the question. He waits for a few seconds, says thank you, hangs up and says “As of this past Monday, there are 18,453,901 personal computers in Mexico. Would you like to know anything else?” The interviewers are very impressed and hire the candidate on the spot. Whenever I talked about this fantasy with my friends, they would all object to the ending and say that would be considered cheating and would defeat the purpose of the interview and as far as they were concerned, the candidate should be kicked out. I did see their point, but disagreed because I thought surely, someone that well connected and can reach seemingly impossible data with a simple phone call would be worth a lot to any organization. That was sixteen years ago and we live in a very different world now. Last month, I read Andrew Razeghi’s Fast Company article, Do You Hire For IQ Or Klout Score, which reminded me of my fantasy. Razeghi considers both intelligence and social connectivity as important traits in business, especially from an innovation perspective. “The line is quickly blurring between the value of what we know and who we know. This then begs the question: which is more important? Is it more valuable to have the answer? Or is it more valuable to know who has the answer? In Understanding, Defining And Achieving Innovation, we talked about the seven brain attributes (thinking and behavioral tendencies) of people. What Razeghi’s questions really lead to is when strong analytical and structured thinking skills are more essential than social thinking, expressiveness and assertiveness, and vice versa. My answer to Razeghi’s question is “it depends.” While intelligence and ability are important across the board, certain business functions especially benefit from the size of an individual’s social network, and how influential the individual is within that network. It is essential, for example, for product management and marketing, where a manager has to interact with many external service providers (agencies) of varying functions, managing them to get work done on time with a reasonable budget. For recruiting, knowing how to reach people with various sets of skills and the ability to convince them to take a particular job is priceless. (Receive any connection requests on LinkedIn from headhunters recently?) For sales, this is even more so, for each contact within the salesperson’s network becomes either a potential customer or a lead to a potential customer. Even within an organization, who you know and how influential you are with them matters. Once you “learn the ropes” of an organization, things run more smoothly. Being on friendly terms with Bob the CEO’s Assistant may get you a brief meeting with his boss during an otherwise impossibly busy day. Your friendship with Mary from IT can determine whether your laptop gets repaired by lunch or by the end of next week. The Stickiness Factor, which is about the actual informational content and packaging of a message. Messages must have a certain quality which not only causes them to “stick” to the recipients’ minds, but also is considered to be worth passing on. 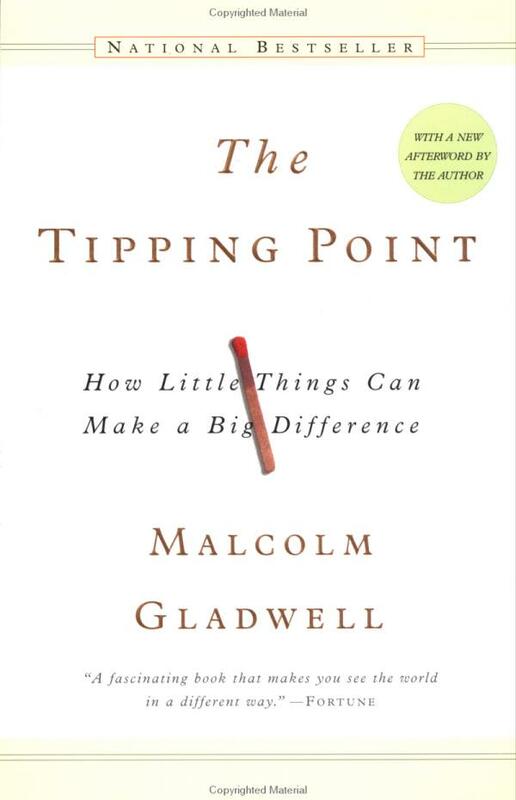 The Law of the Few, which states that “the success of any kind of social epidemic is heavily dependent on the involvement of people with a particular and rare set of social gifts.” Gladwell calls these people Mavens, Salespeople and Connectors. Mavens are the information specialists of the social network. They accumulate knowledge, evaluate it and if they deem it worthy, pass their evaluations and the original message to others in a skilled fashion. Mavens control what messages flow through the social network. Salespeople are charismatic people with strong persuasion and negotiation skills. They can propagate messages through the social network, even to people they do not personally know. Salespeople control how strongly the messages flow through the social network. 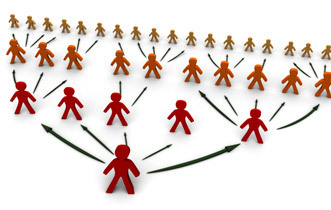 Connectors are people who have made large number of friends and acquaintances, and are in the habit of facilitating the formation of new social connections between them. They invest time and effort into maintaining their social connections, which are many more times the number than the average person. Gladwell calls them “[people who] link us up with the world … people with a special gift for bringing the world together.” He also attributes the social success of Connectors to the fact that “their ability to span many different worlds is a function of something intrinsic to their personality, some combination of curiosity, self-confidence, sociability, and energy.” Connectors control how wide and how quickly the messages flow through the social network. Tying all of this back to the seven brain attributes, it would be safe to say that we would expect the three types of people stated in The Law of the Few to be strong in different brain attributes. I would expect a Maven to be strong in analytical and conceptual thinking, whereas a Salesperson would most likely excel in expressiveness and assertiveness. A Connector would undoubtedly possess great social thinking skills and good flexibility. If one sees the world of business through Gladwell’s eyes, it is clear that the goal of any business organization is to start social epidemics, for every business exists to create “ideas and products and messages and behaviors” and make sure that they “spread like viruses do.” Assuming that the other two of the three laws are fulfilled, meaning the product/service/message possesses high quality content and packaging in a favorable environment, The Law of the Few can very well determine the success of a business. So I repeat my answer to Razeghi’s question. It depends. It depends on the line of business, it depends on market conditions, it depends on the strengths and weaknesses of the organization. But social connectivity does make a big difference. Deciding on how to use it, where to apply it and whom to hire to get it – well, that is the art of management. And the business wisdom to help me decide how, when and where in my organization to utilize the two. You may have heard the story of famous Wall Street banker J.P. Morgan and the shoeshine kid. According to the story, Morgan was getting his shoes shined, and the shoeshine kid asked Morgan about the latest stock tip he heard. This made Morgan realize that something was very wrong, that if even the shoeshine kid was in the stock market, then everybody else was too and the market was seriously overbought. He promptly sold all his holdings and was able to avoid the stock market crash a few weeks later. It is really getting annoying to see the word “innovation” misused in places where it does not belong. Unfortunately, innovationmania is all around us. There are innovation workshops that almost guarantee that all participants will be great innovators at the end of the program. Self styled “innovation consultants” are everywhere, and can apparently make entire companies innovative overnight. The first ever Innovation Turkey Expo was held in Istanbul earlier this month, which was really an expo of inventions, but innovation sounds much cooler than mere invention. Corporate executives talk to business TVs and magazines to announce that their firm is in the innovation business. Even politicians are making an extra effort to attend events that have innovation in the title somewhere, such as the National Innovation Initiative, because, it is hip, it is cool and it makes one look like they are keeping up with the times. But seriously, what is innovation? In “Innovation Is… Hmm…“, we briefly talked about how most companies and their employees are clueless as to what it is and what it really means for their organization and that it is the leadership’s responsibility to define what innovation should mean to the organization in general and each employee in particular. innovate (v.) 1540s, “introduce as new,” from L. innovatus, pp. of innovare “to renew, restore; to change,” from in- “into” + novus “new” . Meaning “make changes in something established” is from 1590s. “A product innovation is the introduction of a good or service that is new or significantly improved with respect to its characteristics or intended uses. This includes significant improvements in technical specifications, components and materials, incorporated software, user friendliness or other functional characteristics. 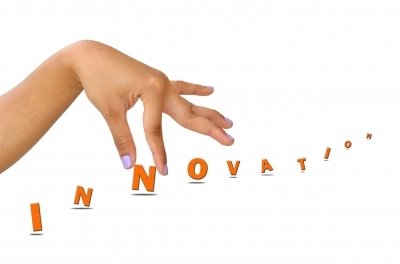 A process innovation is the implementation of a new or significantly improved production or delivery method. This includes significant changes in techniques, equipment and/or software. A marketing innovation is the implementation of a new marketing method involving significant changes in product design or packaging, product placement, product promotion or pricing. 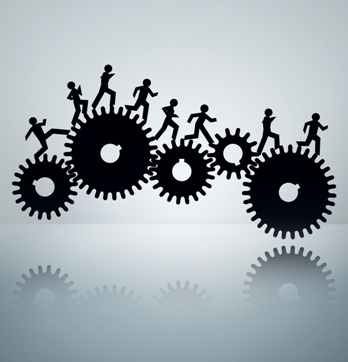 It is not an innovation to stop doing something, even if it improves a firm’s performance. Innovation is something new, not abandoning the old. Example: an electronics manufacturer discontinuing a line of product. The purchase of identical models of installed equipment, or minor extensions and updates to existing equipment, are not process innovations. This is not something new, it is simply more of the same. Example: a steel mill expanding capacity by adding another furnace. A change in the price of a product or in the productivity of a process as a simple result of changes in the price of factors of production is not an innovation. Example: a computer manufacturer can now produce the same model of laptop cheaper, because RAM prices have dropped. Creation of a unique product in order to satisfy a specific demand by a specific customer is not a product innovation. It is another story of course, if the customized item displays attributes significantly different than previous products made by the firm. Example: an automobile company builds a custom car for a wealthy customer. Seasonal and other cyclical changes in design that are routine for the industry in general are neither product nor marketing innovations. Example: an apparel manufacturer switches from the summer line of products to the new fall line. Trading of new or improved products is not a product innovation for a wholesaler, retailer or logistics firm, unless it is a new line of goods, not previously sold. Example: an electronics retailer starts selling the next generation LED TVs. Another confusion I come across frequently is mistaking invention with innovation, such as the Innovation Expo mentioned earlier. The two are related, as innovation refers to the successful implementation of something new, whereas invention refers directly to the creation of it. Not all inventions turn into innovations; if an invention is not economically feasible or practical, it will not be implemented, however novel or beneficial it may be. results in a net benefit. Now that we have a better understanding and definition of innovation, next comes the question: how can a business achieve innovation and become an innovative company? In Strategy Is… Hmm…(Part 2), we saw that businesses have three strategic resources: people, processes/information, and finances. In the innovation context, the most important of the three is people. With the right people, it is possible to upgrade the other two resources, and similar to strategic planning, the company can start thinking of innovation as part of the business – ongoing, habit and consistent – not as a “project” that has a start and a stop. So, finding the right people is key. Job postings looking for people “experienced in innovation” and would “add new innovations to the organization” is probably not the best way to go about it. How a firm can find the “right” people is something that many have different opinions on. Tony Golsby-Smith, founder and CEO of Second Road, a business design and transformation firm based in Sydney, Australia, thinks that the best way is to hire people with humanities backgrounds. He criticizes the education system because it focuses on teaching science and business students to “control, predict, verify, guarantee, and test data”, instead of teaching students how to deal with ambiguity and the unknown. According to Golsby-Smith, people with humanities backgrounds who studied topics like Shakespeare’s poetry, Da Vinci’s paintings, history of the Roman Empire or political philosophy, have learned to grasp and manage big concepts, as well as how to apply new ways of thinking to difficult and unconventional problems. “Complexity and ambiguity. Too many companies lack the scope of understanding to stop problems before they start, because their people are too focused on immediate tasks, or buried under so much data that they can’t see warning signs. Any great work of art — whether literary, philosophical, psychological or visual — challenges a humanist to be curious, to ask open-ended questions, see the big picture. This kind of thinking is just what you need if you are facing a murky future or dealing with tricky, incipient problems. Innovation. If you want out-of-the-box thinking, you need to free up people’s inherent creativity. Humanists are trained to be creative and are uniquely adapted to leading creative teams. Communication and presentation. Liberal arts graduates are well-trained in writing and presenting, making them natural fits for marketing, training, and research. A focus on writing helps people develop persuasive arguments, and a background in performance gives people great presentation skills. And an understanding of history is indispensable if you want to understand the broader competitive arena and global markets. 1. Analytical thinking is essential to making more objective, less biased decisions. This is the function that helps you look at existing research and data, examine options, and question what will or will not work. 2. Structural thinking ensures that you come up with a plan that is doable. 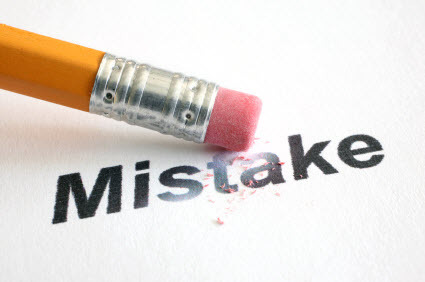 It is the methodical, sequential process that helps maximize results, and minimize pitfalls. 3. Social thinking allows us to listen, build successful teams, relate to people, and develop and inspire others. 4. Conceptual thinking is right-brain, visionary thinking that jumpstarts innovation. Ideas that connect the dots and come out of left field can invigorate your organization. 5. Expressiveness is a behavior style you use to communicate your ideas. It affects how you relate to people and sets the course for the way you speak with others. 6. Assertiveness is a behavior style you use to put your ideas to work. An effective leader is assertive enough to make things happen, but not so assertive that others are stymied. 7. Flexibility is a behavior style you bring to the way you get things done. It determines not only your openness to other points of view, but also your ability to thrive in undefined (or very defined) situations. More often than not, a company will not have a mix of employees in such a way that all of these brain types are adequately represented. 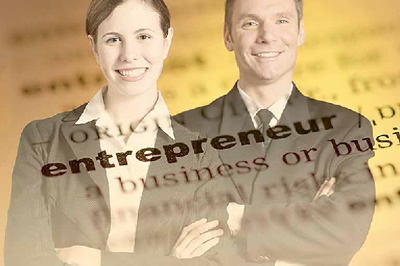 Most businesses tend to hire similar types of people, with similar thinking styles. For innovation, an organization will need people with advanced “conceptual” type of thinking abilities, as Browning explains above. These conceptual people will have different way of looking at things where they generate ideas, notice trends and data points others would miss, and tie them all together to come up with solutions that fit the big picture nicely. They enjoy challenges and focus solutions at an idea level, but not at a process level. They are not detail oriented, but if their ideas can be picked up by other people in the organization who ARE detail and process oriented, innovation will most likely occur. “If you want innovative ideas to surface in your company, it is your job to cultivate an atmosphere in which all types of creativity are valued. Before you hire your perfect candidate, make sure your organization is truly ready to hear new ideas. “Hire People Who Annoy You. Research shows that diverse teams tend to come up with a wider variety of answers, and, thus, are more likely to find the surprising winning idea. The converse is also true: If you build a team that looks alike, thinks alike, and wears the same shoes (pardon the pun), you will get groupthink and generate only one answer, and hope it’s the right one. Social psychology has taught us that we tend to like people who are similar to us, and the higher the similarity, the more likable the person. This suggests a hiring strategy–hire people who annoy you. As long as you’re ensuring they are smart, the people who annoy you represent the diversity you and your company require. Don’t Copy, Remake. There is an entire cottage industry devoted to teaching you how to be innovative… They tell you what was done, not why it was done… Don’t copy the surface behavior–understand the goals, and do them in your context. Don’t Create, Listen. The purpose of innovation is not simply to build something new, but to win new customers, new markets, or new products. While you think you may know what they want, in reality, you don’t. Rather, you knew what customers wanted back when the company started, but now the only people who really know what customers want are the customers. 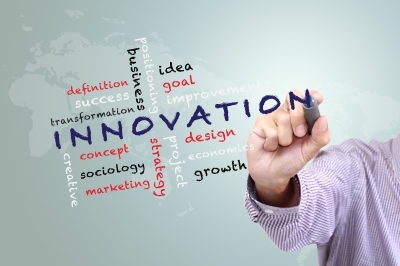 There is no reason to be confused or misdirected by all the hype about innovation. Innovation is real and it happens every day, all around us. If we understand what innovation really is, and what it means for our business, then all it takes to achieve it is to have the determination to reshape our organization and hire the right people to lead the way. To borrow from and paraphrase Shakespeare, be not afraid of innovation: some businesses are born innovative, some achieve innovation and others have innovation thrust upon them. Does innovation lead to greatness? I do not believe that it is sufficient, but it is very much necessary. Amazing how a website and a company that did not exist a mere ten years ago is so popular. There are some who cannot even start their day without logging in to Facebook and updating their status. Others criticize the site and boycott it due to privacy concerns. A lot of shareholders who bought Facebook shares at the IPO price are furious, while other investors and industry analysts are hopeful about the future and what the company may become. There is already a movie about Facebook out there, with rumors of a sequel. Not only are there hundreds of books about Facebook in bookstores, there are actual businesses out there that help you make your Facebook profile and photos into an actual, real-life book. There are songs about Facebook, even a mini Facebook musical! Facebook is all over the place and in our lives, whether we like it or not. 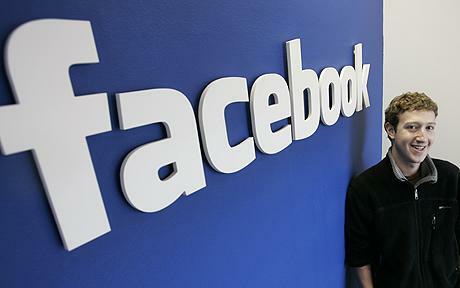 The latest Facebook news that had everyone excited was the 1 billion active users number. At the beginning of this month, on October 4th, Facebook announced that it reached another milestone with 1 billion monthly active users, according to an Amazon Web Services (AWS) factsheet. The previous milestone was on July 2010, with 500 million active users. The active user term, which is different than registered users, is defined by Facebook as “the number of users who have logged in during the previous month.” While merely logging in doth not a truly active user make, the term is still a lot more interesting to me than a registered user, especially considering the many fake accounts created on Facebook for purposes such as increasing the number of “likes” for a specific piece of content. Facebook announced last month a significant increase in efforts to delete fake accounts and false likes. Age Demographics. Median age of users has been declining since 2007. On the milestone date of July 2010, the average median age of users joining that week was 23. As of September 2012, it went down to 22. This steady decline in median age is a good indicator of increased total user activity volume in the future. Global Reach. The top five countries where people connected from at the time the latest milestone was reached were, the United States, India, Brazil, Indonesia and Mexico, in that order. (Turkey was Nr. 7) same top five in July 2010. With the exception of the United States, the top countries are all emerging economies, which is good for future growth expectations. Location Based Content. There were 17 billion location-tagged posts, including check-ins, since the launch of the check-in capability in August 2010. That there were a simple average of 17 location tags per active user is good news for the future of location based services. Mobile. 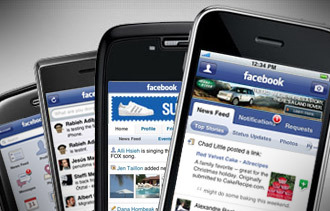 Facebook now has 600 million mobile users. 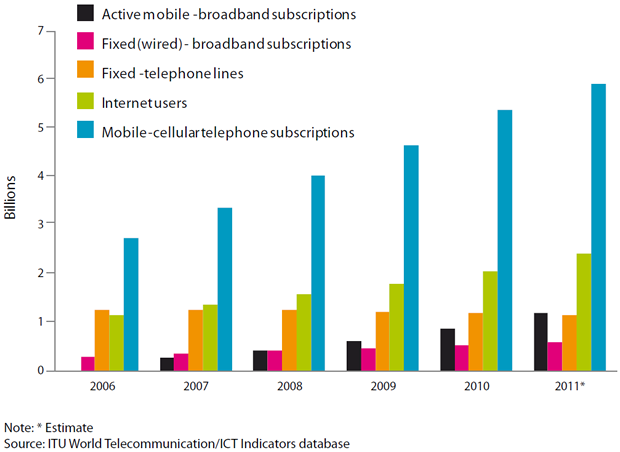 A 2011 year end report by ITU (International Telecommunications Union) that surveys the global mobile and online landscape puts the worldwide number of mobile phone subscriptions at 5.9 billion, which has probably reached 6 billion by now. That means roughly one out of every ten mobile users in the world is on Facebook via their mobile phone. That is also good news. Or is it? Zuckerberg explains how they have been addressing the mobile issue at the TechCrunch Disrupt conference in San Francisco last month. “Q: Is mobile a strength or weakness for Facebook? A: There are more users, they spend more time on Facebook, and we’re going to make more money on mobile ads. … We’ve had right-hand-column ads and it’s been great, a multi-billion-dollar business. But on mobile, we can’t do that. It’s clearly going to have to be different. We’re seeing some great mobile ad products being developed. There’s a huge opportunity. The question is getting there. “Facebook is doing a limited test of ads on mobile websites and mobile applications, displaying ads to people who are logged into Facebook. So, if you are logged into Facebook on ESPN, and you head over to ESPN’s mobile site, you might see an ad for Domino’s Pizza. That ad won’t say that your buddy Nicholas loves Domino’s, though: According to a Facebook rep, these ads won’t have the “social context” that ads on Facebook’s own website show. “Right now on the web, the most successful advertising business other than search is advertising targeted to specific users based on lots of anonymized data collected about them. [e.g. location, age, gender, web surfing history, purchase history]. Web publishers know who is looking at their ad inventory and they can sell their inventory to advertisers looking to reach certain types of people. The problem that Facebook’s ad network will solve is that at the moment, mobile app publishers do not have the same amount of information about the people who are using their apps and looking at their ad inventory. The reason that web publishers know who is looking at their ad inventory is that web users, in their surfing, download something called “cookies” to their browsers. When they load a new page, the publisher of that page can read past cookies downloaded, and build a data mosaic of the person looking at their ads. On mobile, apps are separate pieces of software from browsers. They cannot look at the cookies downloaded in the browser. iPhone browsers don’t download cookies at all, anyway. Last Wednesday, Facebook announced the rollout of its mobile app installation ads program to all developers. That means that all developers on Facebook can build ads that link from Facebook’s Android and iOS apps to either Google Play or the App Store, resulting in ad revenue for Facebook. Facebook’s stock price will certainly benefit from any additional revenue the company can get. The company’s stock price closed last week at USD 19, exactly half of its IPO price of USD 38. There are two main reasons for this poor stock performance. The other reason is the uncertainty around Facebook being able to generate new revenue streams. Until now, Facebook had two main streams of revenue: Advertising and Payments. Advertising, as we touched upon above, is moving away from PCs towards mobile and how Facebook’s mobile strategy will play out remains to be seen. Payments, which until now really means Zynga, the social game developer, is not looking too great, mostly because Zynga is trying to move its gaming transactions away from Facebook to Zynga.com. “Citing its unique ability to recommend products, Facebook opened an online gift store. The move edges the social network onto the turf of e-commerce king Amazon, but at an opportune time: Amazon is busy making movies, computer hardware, cloud computing services, and entering other markets far afield from its core business of selling physical goods. Not that Facebook is trying to usurp Amazon just yet. The launch of Facebook Gifts is modest: Facebook is emphasizing sub-$50 products like socks, cupcakes, teddy bears, and Starbucks gift cards. The idea is that Facebook will see words like “happy birthday” or “congratulations” on someone’s wall and prompt friends to buy the person something through the new store. The idea I really like is the Integrated Social Utility concept. Why launch a gift store instead of providing Amazon with the social customer data? 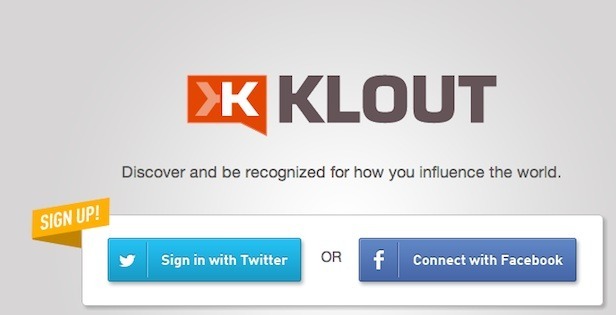 Why go into social search, instead of providing Google with the relevant social activity and user recommendations? Why build an e-wallet instead of partnering with PayPal? Why create a matchmaking website and not leverage the experience of eHarmony? Facebook is not an e-commerce site. Nor is it a search engine, a payment business or a dating site. It is a social utility. Just like other utilities, it is meant to work with other businesses, not compete with them. That means it can be the provider of all kinds of social data to whoever is willing to pay for it. Facebook has the ability to be the irreplaceable partner of every internet based business out there, integrated into their systems, providing them with data about their customers they otherwise would not be able to get. If the other businesses are willing to play ball, I believe that is the best long term strategy for Facebook. Well, Facebook, you clearly talked the talk in 2007. Now, five years later, please start walking the walk. Your investors and the rest of the billion people are waiting. A few months ago, I was talking to a friend of mine who is a high level executive of a global technology firm’s Middle East Region headquarters in Istanbul. He complained to me that he had spent his entire weekend attending a startup marathon, trying to see if there were any promising teams with decent business plans. He was upset that of the many teams that attended the event, only a handful had ideas that could be worth something. Even those few would most likely not be successful or get any funding, because when the problems with their business plans were pointed out, they either became very defensive, reacting strongly to any recommendation or comment, or very passive aggressive, not arguing, but not really listening to suggestions, either. For all his effort over the weekend, my friend came up empty handed, and was frustrated, mostly due to the attitude of the would-be-entrepreneurs. Build an enthusiastic and passionate team. It pays to think like an investor. What is our core? Are we certain that our core business will hold up? 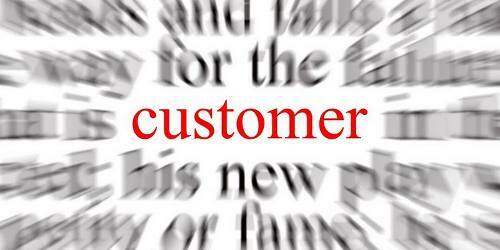 How is today’s unprecedented environment changing our customers and their behavior? Does that mean more or less demand for what we provide? Is our industry being deeply restructured, and if so, how will it affect us? Are we experiencing a hiccup or an earthquake? Every now and then the leadership of a company must raise its head, look around and make decisions that lead to change. The correct amount of change, however, depends on the situation. Sometimes a small shift of the steering wheel is enough, other times one must stop the car, get out, and look for an airplane going in the opposite direction. There is no prescribed formula. Only through rational analysis can the best courses of action be decided. Innovation. It is the buzzword of the past few years, possibly the decade. Everybody takes it seriously, everybody claims to know how to do it, yet only few companies around us can truly be characterized as an innovative company. Why is that? “It is very simple, if your company says that innovation is a strategic priority, but there are no “innovation breeding habits” on display, you will not innovate. Like many, you are just paying lip service to the word. 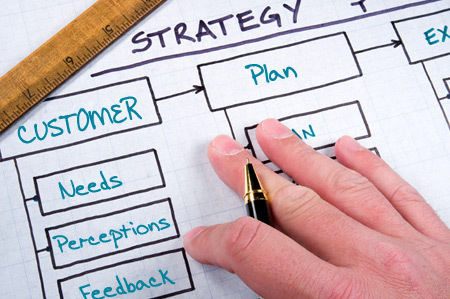 It is like strategy, if no one understands what the company’s strategy is, then all is lost. For example, a company I visited recently told me that they would innovate by updating its website (my follow up question was “how exactly?” and no concrete answer was given). Tsk, tsk, tsk…If your company thinks that “updating its website” is innovative, good luck trying to do anything disruptive.